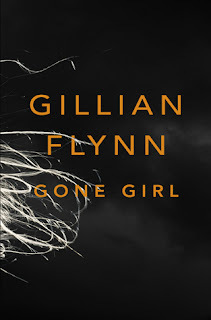 You've probably seen the distinctive black cover of Gillian Flynn's Gone Girl everywhere in recent months. WHSmith's, Waterstone's, Tesco, airports, trains ... along with SJ Watson's Before I Go To Sleep, it seems to be the thriller of the moment. What, then, is so special about it? What Gone Girl definitely did for me was keep me turning the pages. It was one of those books I kept thinking about while I was doing other things, wondering when I'd be able to get stuck into it again. The writing is sharp, observant and witty, with two very strong narrative voices - the story is told from the points of view of Nick, who comes home one day to find his wife Amy has disappeared amid signs of a struggle, and Amy herself, through old diaries that tell the story of their relationship. What complicates matters is that Nick seems far from devastated about Amy's disappearance, and not only the American media and the local police force but we as readers can't help but be suspicious. What is Nick withholding from us? And why are his feelings towards his wife, whose diaries suggest she's desperate to make the marriage work, so ambivalent? This set-up makes for an intriguing but fairly standard well-crafted whodunnit (or perhaps more of an ifdunnit). However, it's about halfway through the book, when we realise that Amy, too, might not have been entirely honest with us, that Gone Girl really starts to stand out from the crowd. Just as I began reading Gone Girl, the former LibDem MP Chris Huhne and his wife Vicky Pryce were sentenced to eight months each in prison after Pryce, apparently driven by a bitter need for revenge after Huhne's affair with another woman was exposed, revealed she had once agreed to lie to the police in order to accept Huhne's speeding points for him. What struck me about that case was that both Huhne and Pryce seemed to be astonishingly unpleasant people, and that their once (presumably) happy marriage had curdled like sour milk into something toxic and foul. In some ways, Gone Girl is about a similar situation. Funny, affable midwest boy Nick and well-off, high-achieving New Yorker Amy - or Amazing Amy, as she's known in a bestselling series of Ramona-style kids' books written by her parents - have begun their relationship as the perfect couple, and yet their marriage has decayed into rottenness. Both Nick and Amy are deeply flawed characters and, for the most of the book, are very hard to like: if you're the sort of reader who struggles to care about the outcome for a particular character unless you actively like them, Gone Girl probably isn't for you. I, however, raced through Nick and Amy's accounts of their deteriorating relationship with a sort of horrified fascination. The lesser characters -Amy's infuriatingly close parents, a brash, Mr Loophole-style celebrity lawyer and Nick's twin sister Margo - don't have an enormous amount to do, but they are just about interesting enough to support the plot and certainly Margo (or Go, as she's called throughout the book, which grated on me no end) and Amy's parents are essential in the sense their support for their respective family members goes some way towards validating the characters of Amy and Nick, demonstrating that they are capable, at least up to a point, of maintaining functional relationships, if not with each other. 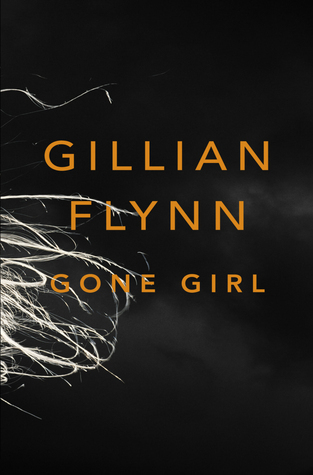 For me, Gone Girl does run out of steam a little towards the end, which I felt dragged on just slightly longer than necessary - although it is, ultimately, chilling and shocking, it could/should have been accomplished in far fewer words. It also suffers a little from the plot shedding plausibility as it unfolds. Overall, though, this a smart, engaging psychological thriller. Excellent. You never really know where it's going. And the author is very good at capturing different perspectives. I was totally perplexed all the time. A GREAT read!